For many, enjoying music requires the component to excel in both a 'static' high-end system as well as a 'dynamic' portable system. The nano iCAN fits this bill perfectly. Able to take RCA or 3.5mm inputs, running on lithium-polymer battery power, enjoy music wherever, whenever, whatever. 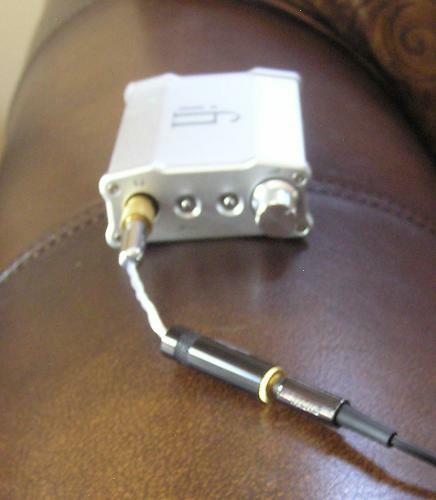 A truly remarkable headphone amplifier must also be user-adjustable. First, to suit each type of recording, the nano iCAN features the original 3D HolographicSound® for Headphones to take the sound 'back out of the head. Second, to suit different headphones, XBass® and user-selectable gain unlock the maximum potential of each and every type of headphone, whether at home or on the move. 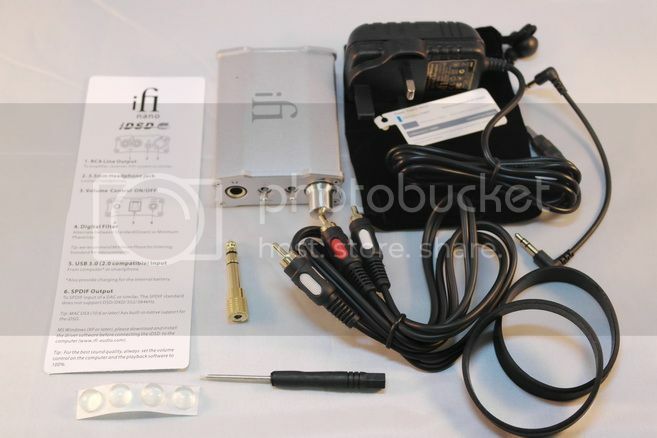 iFi iCan is 1 lightweight portable amp which IMO can be used to power mid difficulty driving headphones. Turning the knob to power on it, it's that easy, but the power indicator could be larger. A tiny pin hole with color indicator only can make the battery life a little hard to predict. Under the iCan are 2 gain switches and 2 beside volume knob to activate them. Putting both of them on will color the sound more than it already does. Some song may suit them but for me, it's definitely not my thing. SO, I'm reviewing it under all switches off. Bass is lightweight, just sufficient and accurate. Not much bloat and with good drum kicks heard. Bass guitars can be heard striking heavily, giving the song a little mood that it needs. Guitars are very clearly heard with every strike, and is quite forward sounding. Vocals wise is slightly laid back, not sure if it's the album mastering that lets the guitar be a bit more powerful, which is a Metallica taste IMO. Totally love them with the iFi iCan if you love guitar ripping the **** out and head bang to it.Not to say that the vocals are muffled though, dont get me wrong, speech wise it is very clear, i can follow lyrics exactly on point, although strong guitars. The treble of the iCan is cripsy and sharp, even with all the mix of guitar raffles and so much distortion guitar sounds going off, I can still hear the high hats and where they are positioned in the back, which is great! Micro details dont get lost by the overwhelming mixes that some hardware fail to completely put it out. For soundstage, I need a change of song since Hardwired is a studio album, so I went for Nightwish instead. They have a mixture of female vocals, orchestra and metal. Symphonic metal, oh yeah.. The soundstage isnt exactly wide per se, but the hall feeling of it still exist, with positioning going a full circle, and echoes going off but not overly extended. You wouldnt get a grand hall symphonic feeling, but a small audiotorium housing say.. 300 people? You will be positioned roughly in the best seat of a cinema, with even the slight left and rights being accurate as it is. To me, since I have the mojo, which is much lighter and way more efficient and cleaner, I would give this a pass, but if for folks starting out and wanting to explore the beginnings of an audiophile, this might be a good spot to start off, since it has sufficient power too for some of the crazier headphones around town. I use this mobile headphone amp more than a year and i like it. The build quality is very high, the accumulator capacity is superb and working well as a small mobile amplifier. The sound is detailed with very good dynamics. The Xbass function is an overshoot with the most headphones and records, but useful with some old/bad records or with bass shy headphone (like Sennheiser HD558/598). The 3D HolographicSound function is smudge the soundstage at the precisely mastered albums, but help at some old or heavily speaker optimised records. The small one is the popping sound when you switch on the amp. The bigger problem is the usable headphone impedance range. With lower impedance head- or earphones this amp produce a significant hiss. This noise with my MSR7 (35 ohms) is barely acceptable for me at the quieter sections of the songs. If i used my HD558 (50 ohms), the hiss has a much tolerable level. With the R70x (470 ohms) the hiss is gone, but the power is not enough for the full bass extension (fortunately any other way this little amp works very well with this headphone too). The iCan nano give you the best performance somewhere between 50 and 150 ohms. Update: I tried with HE-560 planar. Very detailed and spacious but not a good pair, because the (lack of) bass. Pros - Build Quality. Unmatch EQ with XBass and 3D Halographics Sound. Better than Average SQ. 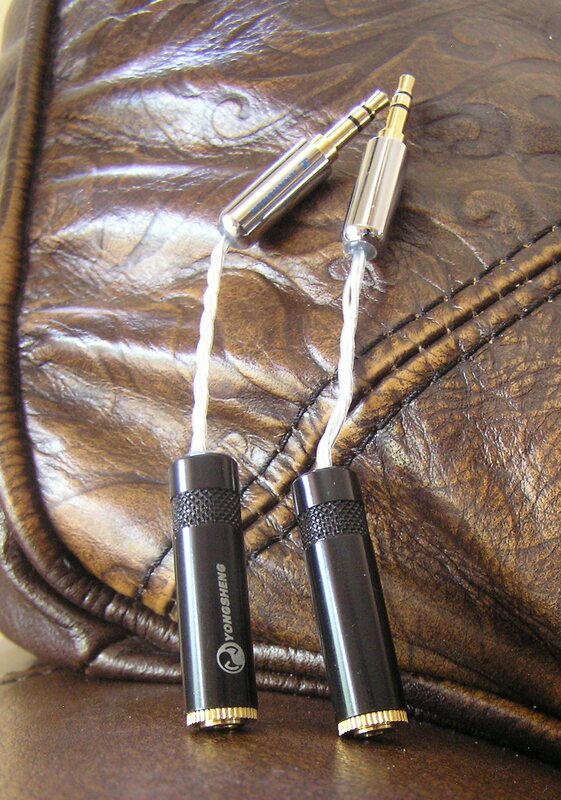 Cons - Too High a Gain for Sensitive Headphone. EMI issue. Bulky as Protable. 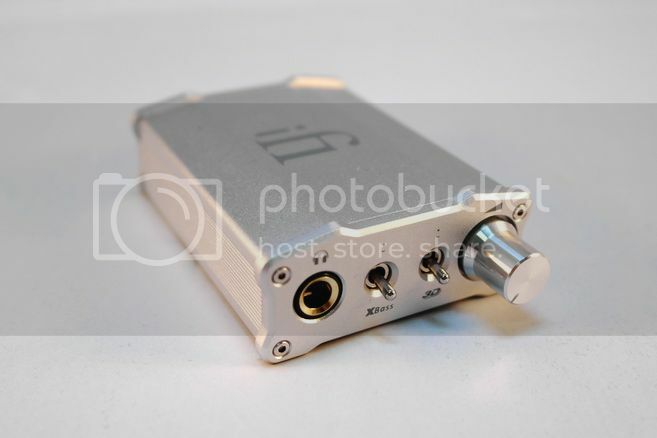 iFi Audio has gained a great success over its Micro line of small sized desktop gears, and now it is pushing into the portable world with the Nano series. The nano iDSD is USB DAC that not only works with PC, but also has OTG support for the iDevice with OS7 (via camera connection kit / CCK) and Android that have USB Audio Class driver built-in (*for older Android that doesn’t have the driver, there is still a chance that USB Audio Player PRO will work). The nano iCAN on the other hand is a pure portable amp, but infused with the magical XBass and 3D Holographic Sound we have seen on the micro iCAN. Both are retailed under US$200. Both gears come in pretty standard iFi while hard paper box, which we have seen on the micro line. With nano iDSD, you will get an RCA cable, an USB cable, a soft pouch, 4 rubber feet sticker and a pretty simple manual. 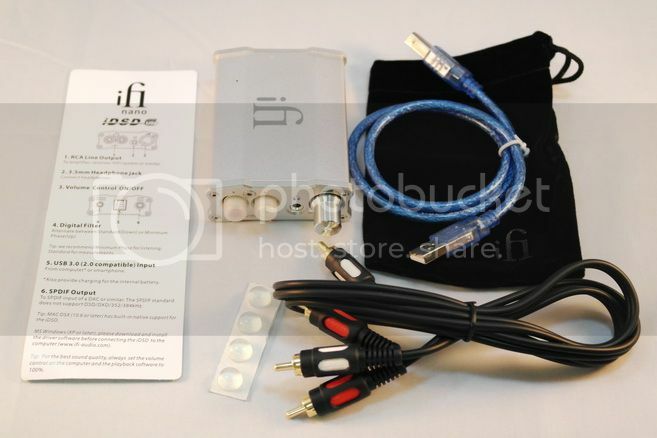 With nano iCAN, you get the same RCA cable, soft pouch and rubber feet sticker, plus a 6.4mm-to-3.5mm adapter, 2 rubber bands, a small screw driver that is meant to help on pushing the gain switches, and a 9V iFi Ultra-Low-Noise power adapter. 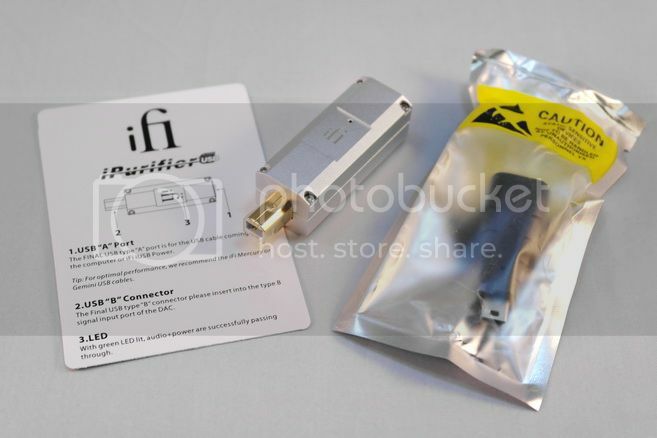 Two accessories that I wish iFi had included are a lower profile 6.4mm-to-3.5mm adapter and a short microUSB-to-USB-B OTG cable (*and I reckon a short USB-A-to-USB-B cable for the Apple foes). Both are actually not that easiest thing to find, but I was eventually able to source them from TaoBao myself. While the included 6.4mm-to-3.5mm adapter is fine by itself, it is really quite protruding with the 3.5mm plug from the headphone. I was able to find a lower profile version of the adapter that is 6mm lower. Well, every bit helps when you are traveling around. 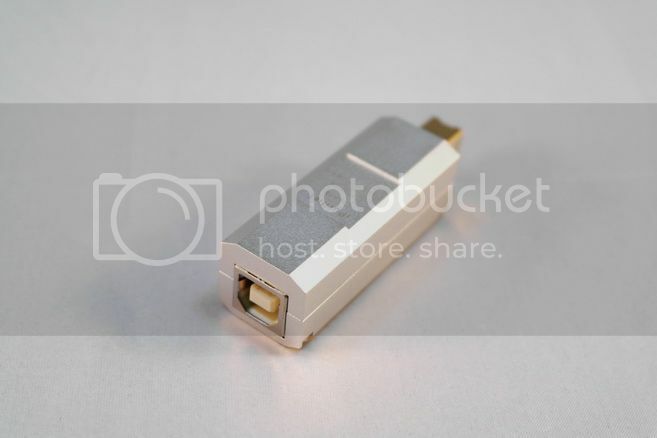 As for the OTG cable, there simply isn’t that many places that you can find OTG cable for an USB-B socket. Build quality is pretty much top notch for both the nano, which isn’t surprising as we have seen such level of quality on the micro series. LED indicator is located on the top, near the rear, with different color indicating different status. The shape of the housing is a bit awkward for a portable device, mainly due to the irregular shape of the front and back plate. The overall design of the nano series is pretty much like the micro series but half in length. Some of the elements that make perfect sense in the more desktop oriented micro series do look a little odd in a portable setting – such as RCA sockets, 6.4mm socket in nano iCAN and the USB-B socket in nano iDSD. I would think 3.5mm socket and micro USB might be more appropriate, as far as convenience is concerned, even though they are not that big of a deal. Beyond those, both nano are well designed and built. Nano iDSD can be run on both battery and USB power. If you switch it on before connecting to a PC or smart device, then it will run on pure battery power until the battery is flat. If you switch it on after connection, it will begin recharging. That makes it easier for the use with smartphone as many will reject USB DAC that draw too much power. The quoted battery life is about 10 hours on battery, which is pretty spot on from my own experience. For the most part, it will last around a day of normal usage before needing to recharge. That shouldn’t be a problem given most modern day smartphones probably won’t run much longer as well. Nano iCAN on the other hand can run for a very long time before a recharge is required. The official number is around 70 hours. I haven’t actually drained the battery dry to test the battery life but it does seems to last like forever with a single charge. The only minor complaint I have with the nano iCAN is that it can only be recharged with the ULN adapter, which means you have to bring it with you on a long travel. The upside is that nano iCAN has more power when plugged in. So it is the case of win-some-lose-some. The max voltage output on the nano iDSD is about 1.66V, pretty close to the 1.6V quoted in spec. It is not full 2V line level, but it should be plenty for portable use. From my observation, the RCA socket on the front is linked to the 3.5mm headphone socket and both are controlled by the volume knob, so the nano iDSD doesn’t really offer a line-out. According to iFi, the volume knob is actually a digital control over analog attenuation so you won’t lose any digital resolution by using it, yet it should offer near perfect channel balance at any volume. My measurement over the voltage output pretty much confirm that the channel balance is indeed perfect. They also point out that turning the volume to max essentially remove any analog attenuation and the signal should be at its best SNR, to approximate a line-level signal. Hiss is pretty good. Even with the hiss prone Shure SE530, I can’t hear any until the volume knob has passed around 2 o’clock, and that’s way too loud in normal listening with SE530. EMI is quite excellent on the nano iDSD as it remains in total silence right next to a smartphone when receiving call. 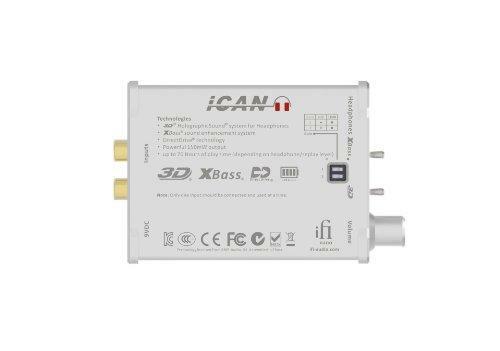 Nano iCAN offers two levels of gain, 6dB and 18dB. I’ll consider both being too high for IEM and sensitive headphone. You will probably want a low gain between 0~3 dB for IEM. As a result, hiss is quite noticeable with SE530 and I assume it will be the same for most of the sensitive IEM. EMI is also not particularly good as it is quite noticeable during call. That means the nano iCAN won’t be a good pairing with smartphone in general. Also, there is click and pop during startup and shutdown. Not very severe, but I’ll recommend unplugging headphone before startup / shutdown, especially if your headphone is quite sensitive. Unlike nano iDSD, the volume control in nano iCAN is fully analog, so there is some channel unbalanced coming from the volume pot when it is under 9 o’clock. As usual, I started my sound quality review on amp and DAC with an RMAA measurement. With nano iDSD, when measured under 16bit 48kHz PCM, you can clearly see the difference between the Standard and Minimum Phase filter used (selectable at the back of nano iDSD). Standard filter only has a tiny, inaudible -0.2dB roll off near 20kHz; with Minimum Phase filer however, it is a more noticeable -3dB @ 20kHz. If I am not mistaken, it is likely a Butterworth filter we have seen on many Hifiman players before. The filter selector switch also engages different filter during DSD and DXD playback as well, but I am not that interest in DSD/DXD so I won’t go into detail about them. 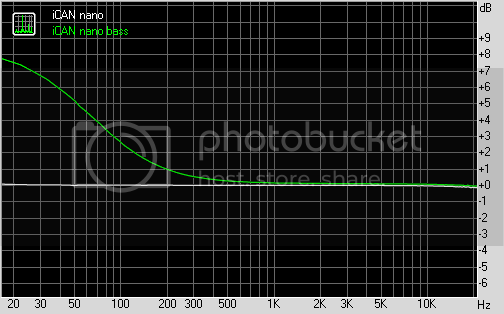 Beside the effect of the filter, the rest of the frequency response is about as flat as it can be. With nano iCAN, the frequency response is also flat from 20Hz to 20kHz. The rest of the RMAA result has revealed no problem with either nano – noise, dynamic range, stereo crosstalk, etc are all fairly respectable. Per my measurement, output impedance for the nano iDSD and nano iCAN are both well below 1 ohm. Output current on the nano iDSD is low but adequate, but decently abundance on the nano iCAN. Overall, I didn’t find anything wrong during measurement. The Standard filter vs Minimum Phase filter in nano iDSD. From my own personal experience - when it comes to USB DAC + amp, the common trend for most manufacturer is that they start with a good amp section first, then squeeze in a DAC that is just adequate for the job. Therefore many of them are more of an amp than they are a DAC. On the nano iDSD however, I’ll say you are getting a hell lot more of a DAC than an amp. If I am not mistaken, iFi is using the TI TPA6130A2 as nano iDSD’s headphone driver. It is a chip we had previously seen on FiiO E5 and E7. While it is not bad per se, it isn’t great either. It will drive your typical headphone well enough, but it doesn’t quite have the wow factor of a really good, full blown amp section. The good news is that nano iDSD does sound better than an E7, no doubt thanks to the far more mature DAC section, but you can still detect a sense of warmness that is typical to the TPA6130A2. Where nano iDSD really shine is when it is used as a source to feed into a better amp. Yes, technically you are double amping, but the result is well worth the effort. 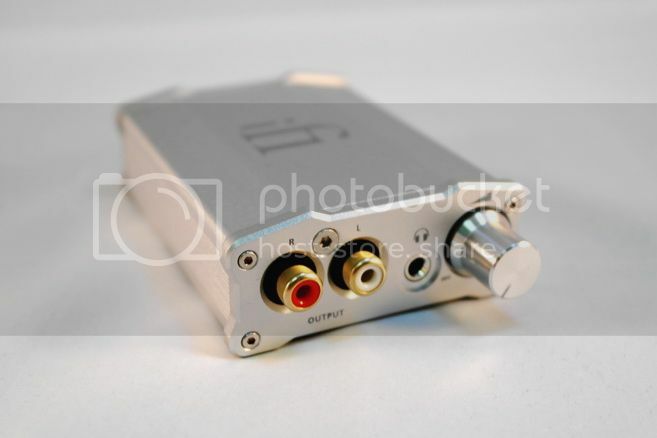 [update] According to iFi, technically TPA6130A2 only acts purely as the buffer stage of the DAC when the volume is turned to max, so it is not double amping per se. Another area that nano iDSD distinguishes itself is as an OTG devices for smartphone. While nano iDSD might not be the best sounding USB DAC there is, it is still far better than the built-in audio section of most smartphone out there. If you are using Android, with third party app like USB Audio Player PRO, you can even have full HD playback without a problem, PCM and DSD included. One of the reason why I think nano iDSD is more of a DAC is how many features that iFi is able to pack inside. In the heart of nano iDSD sits one of TI’s top of the line DAC chip, the DSD1793. If you were to look up its datasheet, you will find it doesn’t support as much native DSD/DXD decoding as iFi has claimed. How did iFi do it then? Well, they were able to dig up some hidden features that are designed into the chip but not officially documented. Then they develop a custom XMOS solution to enable all those extra stuffs that you won’t find on any other DSD1793 implementation outside of iFi. The result is a sub$200 USB DAC that has features than usually belong to DAC that is priced in the thousands. As I have said, I am not that into DSD / DXD myself. But if you looking for a DAC that supports DSD / DXD in real native decoding, I don’t think you will find another USB DAC that does them all for such a price tag, especially one that also works well with smartphone.. So how about nano iCAN? From what I can tell, the basic amp topology seems to utilize an OPA1642 for gain stage, followed by MAX9722 as buffer. In between them, there are the Xbass and 3D Holographic Sound that I have nothing to say but praise for. As I have said on another review, MAX9722 can go from mediocre to really good, depends on the implementation. iFi has utilized it quite successfully on the micro iDAC, and the new implementation seems to work fairly well on the nano iCAN too. Subjectively speaking, nano iCAN doesn’t quite have the kind of maturity and effortlessness found on JDS Labs C5, but it has no problem matching up to FiiO E12. With E12, you get a sense of tighter control, power and intimacy. With nano iCAN, it is more neutral with better clarity and a really wide soundstage, even before the EQ is turned on. All and all, I won’t categorize nano iCAN as a top-tier portable amp in the sub-$200 price bucket, but it is definitely a very close runner-up. The thing that really makes nano iCAN unique is however its XBass and especially the 3D Holographic Sound EQ. Sometime hardware EQ can be over implemented in portable amps, such as the case of C&C BH, where it helps a lot on some music but also ruins the whole image on others. The way iFi does its EQ is much gentler yet remains effective. They do exactly what they are meant to do without making anything sounds artificial or out of place. The degree of refinement is something I haven’t experienced on EQ from another brand of portable amp. To explain it in a simple way, I guess you can say that iPurifier is a kind of EMI filter for USB transmission. I have tried it on my desktop setup, with both nano iDSD and micro iDAC, but doesn’t found it to make any noticeable difference. I do however find that it darken the background when pairing with my Xperia Z2 + nano iDSD a bit, though the effect is pretty subtle. Given it is meant to filter EMI, it makes sense as such since my desktop setup hasn’t really known to have suffer any EMI issue at all. I guess iPurifier is one of those devices that would really help if there is already a persistent case of EMI over the USB connection. Otherwise, you might be able to get away without one. It is more of a fine tuning tool rather than an instant improvement. 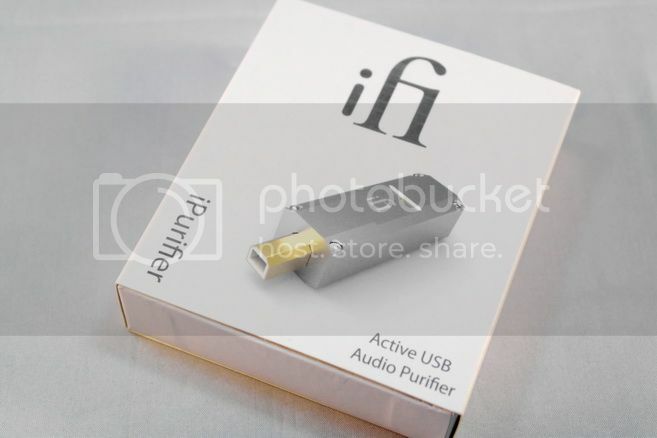 Just an extra note – iPurifier comes with an USB-B to mini USB adapter for the portable USB DAC, but I do hope it has an USB-B to micro USB adapter as well, since micro USB has become more and more dominant even among small USB DAC. 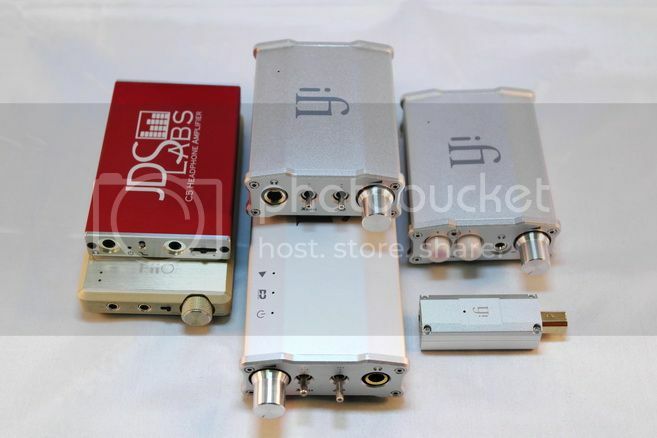 Size Comparison (from left): JDS Labs C5, FiiO E12DIY, nano iCAN, micro iCAN, nano iDSD, iPurifier. I was thoroughly impressed by the micro series when they hit the market. While the nano series might not be quite the big smasher on performance as their elder siblings, they are themselves no sloth either. iFi Audio has managed to pack in some unique features to both nano iDSD and iCAN to make them stand out from the sea of portable amps and DAC in the market, while still makes sure they stay competitively priced. That’s no small feat on its own. A thanks to iFi Audio for the samples. munggo, H20Fidelity and h1f1add1cted like this. Great review, only one question. Is there any difference between the 2 RCA outputs and the single 3,5 output, if you use additional the nano iCAN as amp and the nano iDSD acts only as DAC with buffer stage on full volume setting? They shouldn't be any difference. Pros - Amazing instrumental imaging & detail , XBass is satisfying , insane battery life . Cons - No tubes ? The iFi iCAN nano has been enjoyed by me for more than 100 hours by now . The battery life of this portable amplifier is so good , i don't remember charging after the first time i've charged it to full , remember , being a portable amplifier , battery life is rather important . i've used it with my monster turbine pro gold & Beyerdynamic T90 . 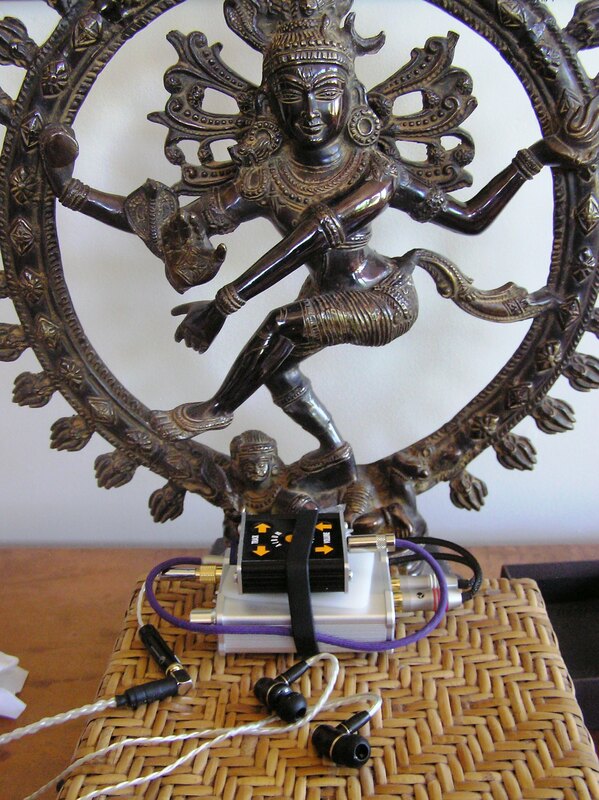 The 3D holographic is simply amazing , majority of amplifiers do not come with switches as such . it gives life to the music you're listening and make the overall listening experience really wonderful . It widens the soundstage and gave it a certain kind of clarity and more depth together with detail . Overall they are a wonderful amp , and in high gain , it could easily power the Sennheiser HD800 aswell . i am pairing this Amp with the iDSD Nano , their portable DAC . Powerful , portable , high quality construction , high quality sound . Do you have problems using it with your iems? From my experience out of the box it has major channel imbalance issue with iems. At first i was thinking my HP-P1 line-out causing that problem, but after testing with Fiio X3 ,X5 and iBasso DX50, it seems that somehow it's the amp itself having issue with iems (especially BA drivers). Also, mine unit's 3.5mm jack is totally "pain the the amp". This 3.5mm jack is not well build/tight fit for almost most of my available/tested interconnects. I have to swap different positions every time just to have proper connection. This is very frustrating since this amp is meant to be portable, which means it should be able to use on the go without any issue. but with this unreliable 3.5mm input, even bundle use with my HP-P1 is not a 100% working device as I have to spent 5-10mins just to find it's 3.5mm connection "sweet spot". Let us say I do not need portable well more like portable from one room to the next. Would you say if I could get this and the o2 for the same price, would you say the o2 is the better and more enjoyable sounding of the two amps? I had my first listen to the smaller amp after letting it burn in overnight with my Isotonic CD. It is a wonderful baby brother to the bigger iCAN. The same overall sound signature and of course the great enhancements of the 3D and XBass features (see the longer review I linked to above of the original iCAN for more details of these features). 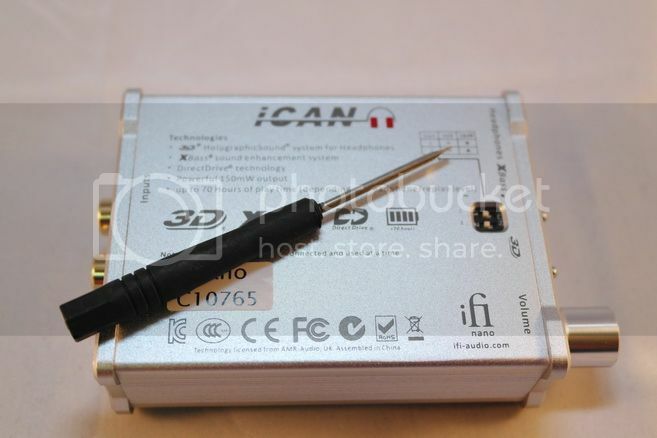 It does not quite have the same authority as the bigger iCAN as should be expected at half the size and 3/4 the cost. The bigger amp just takes a little firmer control of the headphones and gives a little more body to the sound. The difference between the two amps is surprisingly slight, but this was with the Sony MDR-MA900 headphones which are not very demanding. It is possible that the difference would be greater with headphones that are a heavier load on an amp. Unfortunately, I do not currently have any more demanding headphones as I have been whittling down my collection. I was also able to compare the Nano to the Mini-Box amp card in the Hifiman 802, which is a $250 add on to the 802 ($200 if you buy it at the same time). It has a good reputation as it is based on the OPA627 OP-AMPS. 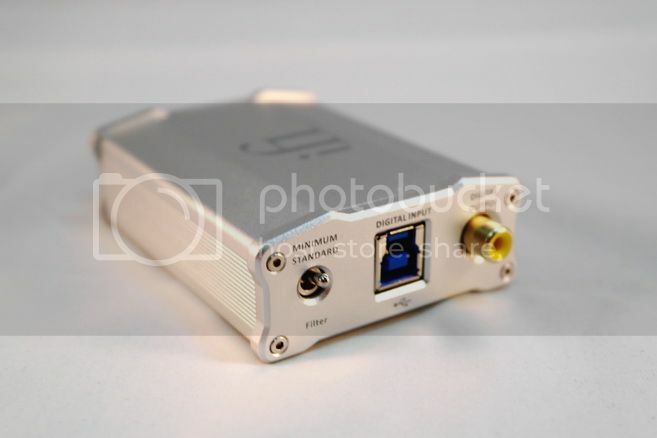 But compared to the Nano iCAN the MIni Box card sounded a little closed in and muffled. Once you turn on the 3D effect and the xBass on the Nano, it pulls away and is simply cleaner and more spacious sounding, while also having more body and low end oomph. Quite a nice showing for the $189 Nano to outperform the $250 Mini-Box amp card. 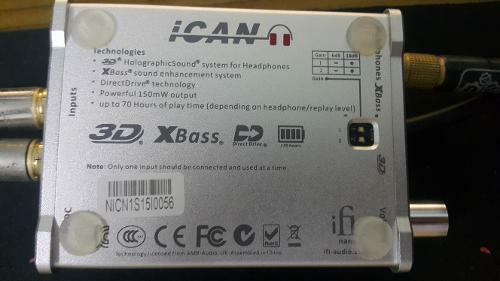 One downside to this smaller iCAN is that with very sensitive headphones, there is a very noticeable hiss. I just got in a pair of JVC HA-FX850s which I am loving. But they are not a good match with the Nano because of the hiss. The hiss is there even with the Nano amp set to the lower gain settings using the switches on the bottom of the amp. Of course, it is not noticeable when music is playing loudly. But, I listen to a lot of simple acoustic music and so I could always hear the hiss in the quieter passages and silent pauses. 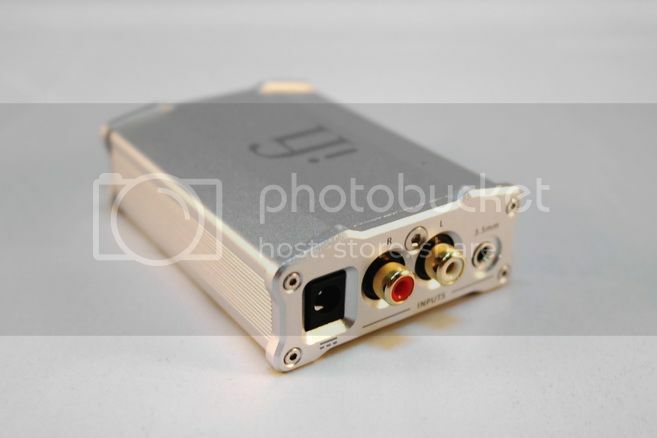 As much as I enjoyed the sound of the Nano with the JVC's, I am not going to put up with hiss in the long run. So since the JVC's are definitely keepers, the iCAN Nano is going back to Avatar. 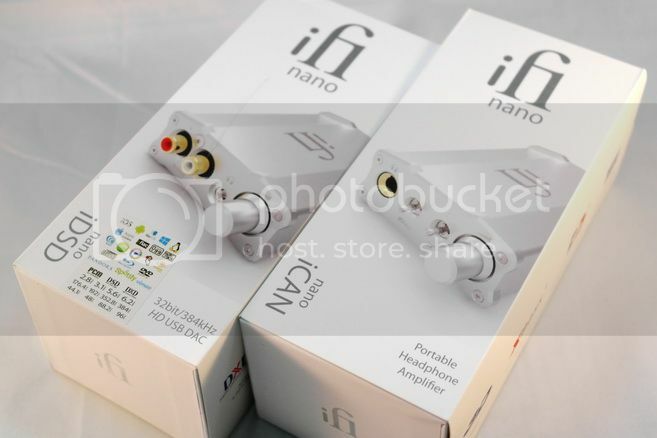 Summary: If you do not use high sensitivity headphones, then the iFi Nano iCAN amp is a great, more portable version of the iFi sound, with similar features to the larger iCAN amp. It is not the most portable of amps, more of a transportable type of amp as it is a little bit bigger than the size of a deck of cards. The battery inside the Nano is rated for 70 hours, so it does take advantage of being bigger than some portable amps by including a long lasting battery. The lower price of $189 makes it a viable option for someone wanting to try out the iFi sound and features in a more portable size. And read on to learn how the attenuators solved my hiss problems and would make the Nano a good match even with high sensitivity headphones. Briefly put, when used appropriately, they work great at both reducing hiss and giving a more usable range to the volume control when combining high sensitivity headphones with iFi's amps. The 12db attenuators eliminate 90-95% of the problem with the hiss on the Nano amp when using my JVC iems with their sensitivity rating of 106db/1mW. In fact at normal volume, there is almost no audible hiss. It is only if I turn the volume all of the way up (with the music paused) that I still hear any bothersome hiss. It also gives me a much more usable volume range on the Nano amp. Before, I could barely turn the volume up above the lowest position where there is sometimes some channel imbalance. Now, I can use the volume of the Nano between 11:00 am and 1:00 pm, when using the line out output of my new DX90 DAP. The 24db attenuator eliminated 100% of the hiss even at full volume on the Nano, but it created a problem with the Nano amp in that I started experiencing distortion at volume levels just above my normal listening level. It seems the 24db attenuator presents too large a load to the Nano amp. I did not have this problem with the 24db attenuator on my larger Micro sized iCAN amp, but then again I would not ever need the 24db attenuator with the larger iCAN as it has less hiss to start with. Also when using the 24db attenuator with my Altmann Tera player (which has a lower output level than the DX90 line out) as a source feeding the Nano amp, the 24 db takes out too much volume and I end up maxxing out the volume on the Nano on quieter tracks, and am left wanting for volume. So if you have a source with relatively low output power, you may be limited to using the 12 db attenuator. 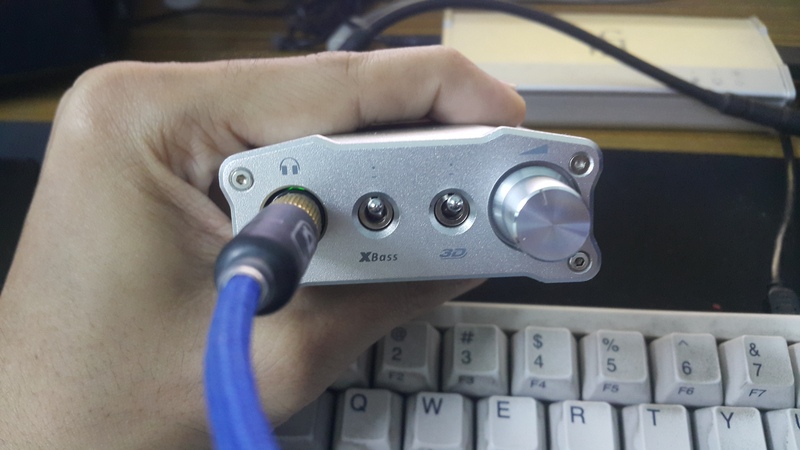 I also found the 12db version works great with the bigger iCAN, which has much less hiss to start with, and no hiss at all even with just the 12db attenuator. 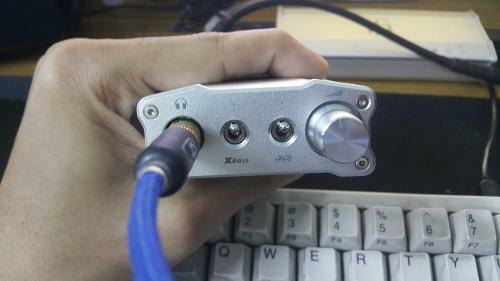 Of course I can also easily use the 24db attenuator with my bigger iCAN Micro amp, but it is not necessary with my headphones. The 24db version might still come in handy with an extremely high sensitivity headphone like some of the Sennheiser iem's that go up to 125db/1mw, but in general I found the 12db version to be all I needed. And again, using the 12db version did not cause any problems with distortion with the lower power Nano amp, at least not at anything close to normal listening levels. So, in general it seems the 12db version may be the more universally useful one, but in extreme cases the 24db might also be useful, i.e. when using very high sensitivity headphones. I did not have any extremely sensitive headphones on hand to adequately test the usefulness of the 24db version. However, I did find the 12 db attenuator also worked well with my full sized Sony MDR-MA900 headphones which are rated at 104 dB/mW and which have a little hiss on the bigger iCAN amp. However, I encountered the distortion problem with the 12db attenuators and the Sony's when I used them on the Nano. 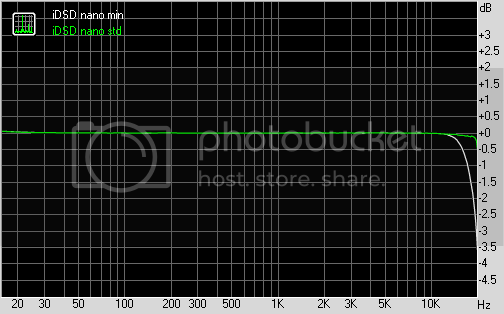 I am not sure why that happened as it does not happen with the higher sensitivity JVC's and the 12db unit on the Nano. It might be due to the impedance compensating circuit built into the Sony headphones, and how that circuit interacts with the added impedance of the attenuator.. But it does seem that at least sometimes, these little attenuators could also come in handy with high sensitivity full sized headphones. I am particularly sensitive to hiss and so it bothers me a lot when an amp adds hiss to the sound. 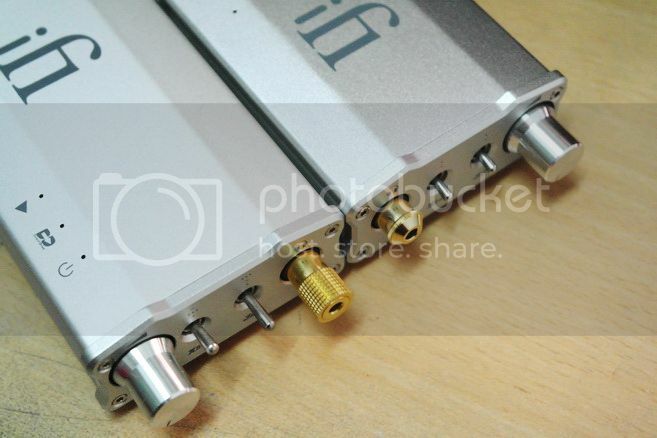 I wish I could have had one of these iFi attenuators around all of these years. With all of the different combinations of headphones and amps I have tried, there have been plenty of times when they would have come in very handy. Please note that the attenuators only reduce the hiss that is created by a higher powered amp feeding a pair of headphones with high sensitivity as they reduce the noise floor so the hiss becomes inaudible. However, they do not reduce or eliminate hiss that is found in the recording itself, such as older analog recordings that have tape hiss in the background. That type of noise is not affected by these attenuators. 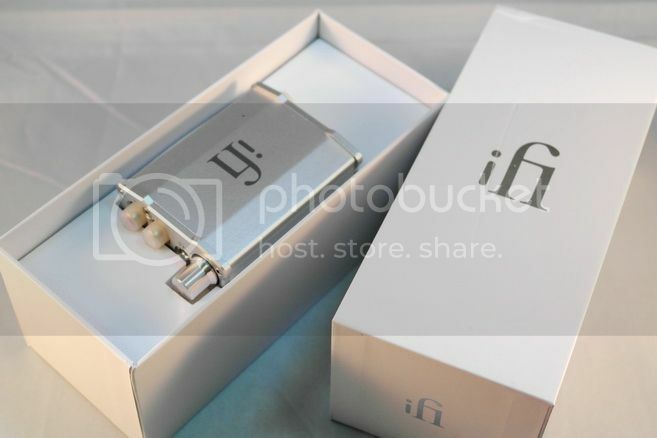 Ifi is earning a well deserved reputation for creating gear that outperforms its price, and also for creating unique products that serve a particular niche such as their iUSB power supply and iTube tube buffer/preamplifier. These new attenuators are just such a useful niche product that can be used with their amps where hiss or limited volume range is a problem. Unfortunately, they are not available yet, but iFi does plan on making them available for sale through their dealer network to all purchasers of their amps to accommodate people who want to use high sensitivity headphones with their line of amps. 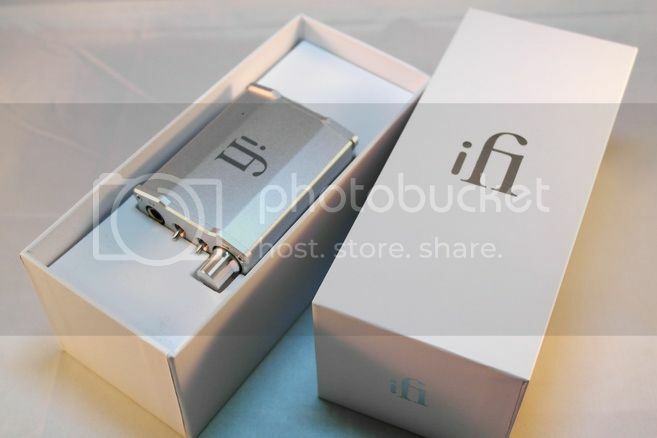 Surprisingly, iFi does not currently have plans to make them available as a stand-alone product. I think they might be missing an opportunity as it seems these little accessories could sell well and be very useful with a wide range of amps and headphones. It might not be a high enough profit margin for it to be worth their while, but maybe if enough people on here let iFi know if they are interested in buying these, they will reconsider. Also, I discovered the Nano has a similar problem to the larger iCAN amp. The 1/8 inch input on the back of the amp is very slightly recessed, so when using a mini to mini interconnect with large plugs, the cable does not seat fully and so one of the channels cuts in and out when the cable is jiggled. It happens with only one of my mini to mini cables, but it is helpful to be aware of the problem so you do not think there is something wrong with your amp. I think they may be available now at iFi dealers, but contact your closest dealer to find out for sure. I ended up keeping my Tera as source, feeding the iCAN Nano and then my JVC HA-FX850s. The sound is just out of this world. It is not so much that it is flashy or sparkly, but it just sounds completely natural. The JVC earphones are really something special, and the Tera is an amazing DAP. Then the Nano amp takes it to another level of naturalness by expanding the soundstage and giving the instruments more space around each one. I am sure now that I like the 3D effect on this little Nano amp even better than the settings on the bigger iCAN. The 3D is great on the larger Micro amp, but the setting on this smaller amp is somehow even more natural and believable. I am so thrilled to have the iCAN features in a setup I can fit in a larger pocket. great review! i'm new here and not so clued up but i have been thinking of buying a headphone amp for a while now. i"m out and about and travel a lot and like to have my music with me. this little device looks interesting. i don't know a lot about ifi (or any other headphone amp manufacturer for that matter) but i'm discovering good things about them. i might give this baby a whirl to pop my headphone amp cherry! i pretty much use hd25's all the time. i find them comfortable and not too intrusive when i'm on the go (and i'm on a budget!) a decent headphone amp feels like a necessary next step for me now.